The Mosaic platform has a Google Analytics Tracking ID associated with it. We use the results generated from this tracking ID to populate a basic site statistics page specific to each Mosaic website. 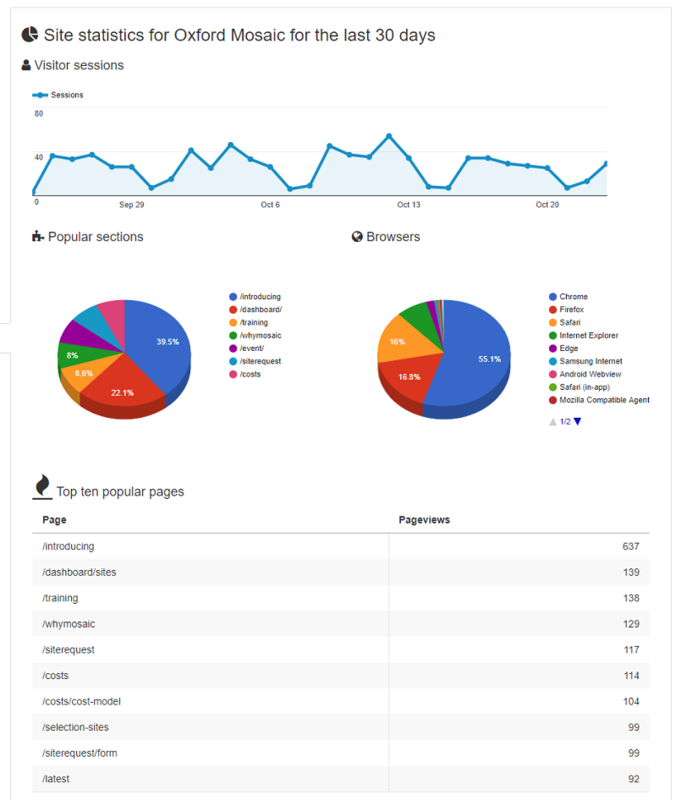 The statistics on the Site Statistics page are not generated in real time; they are updated daily and it can take a day or so for the statistics to become available for a new website. If you want to get more statistics or generate reports on your site statistics you can sign up for a Google Analytics account and add your site's Google Analyics Tracking ID to the Google Analytics section in site settings.